The leading power and hand tool brands will be attending, with top trade deals only available on the day. It’s a great chance to ask questions and speak to the experts from Makita, Dewalt, Milwaukee, Bosch, Festool and more. The Newmarket Trade Day will be a great chance to see live demonstrations from the brands and also to try selected power tools before you buy. An extended range of power tools will be on display. Register your details on arrival and get a voucher for a free Hog Roast roll! The hog roast is only available between 12-3pm – perfect for a lunchtime visit from the job site. 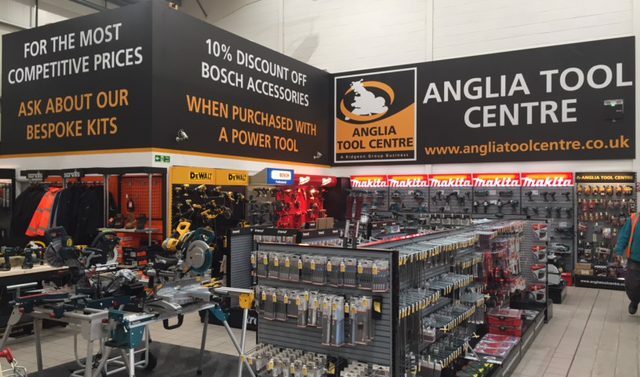 Further to the exclusive deals available on the day, buy any power tool at the Newmarket Trade Day and receive a free gift with your purchase! The event is free to attend, with limited free parking available on site. For directions to the Ridgeons Newmarket branch, click here.